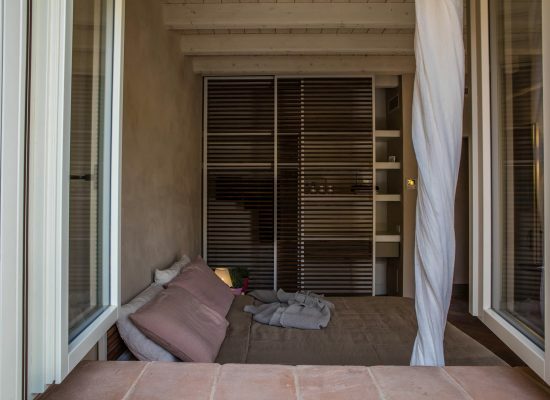 Located on the ground floor, this is one of largest solutions of the entire Foresteria. 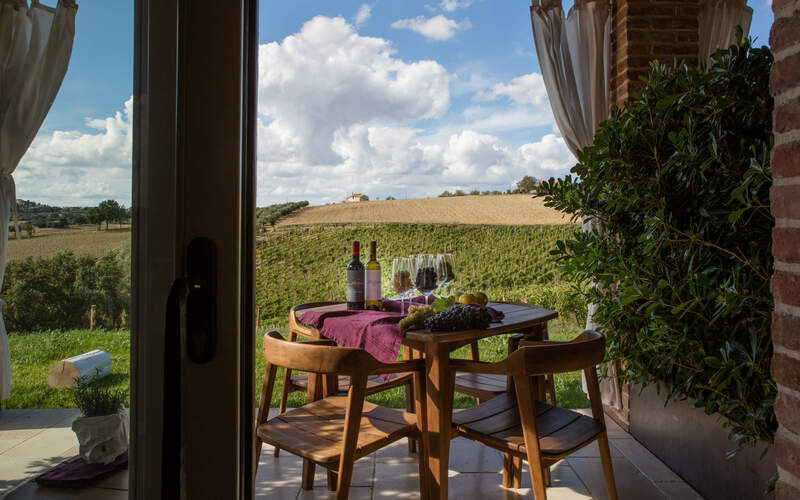 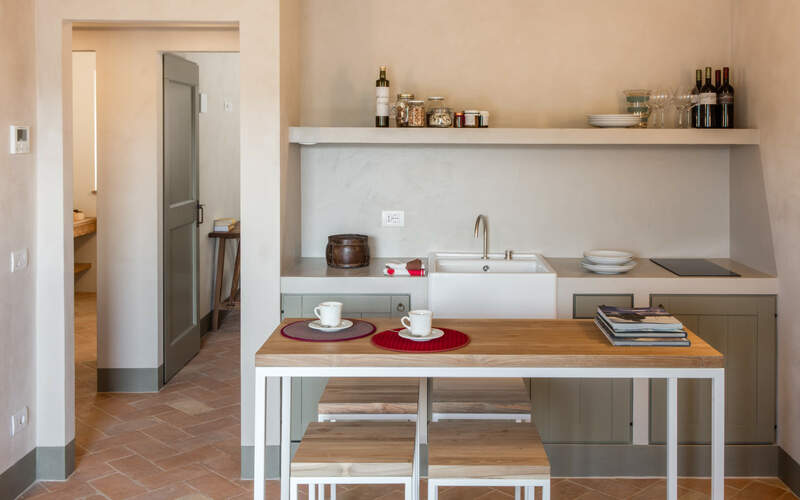 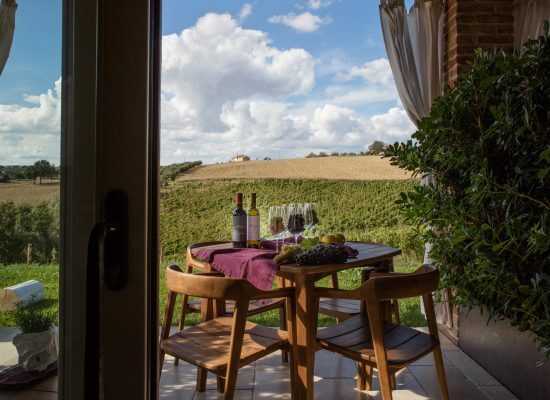 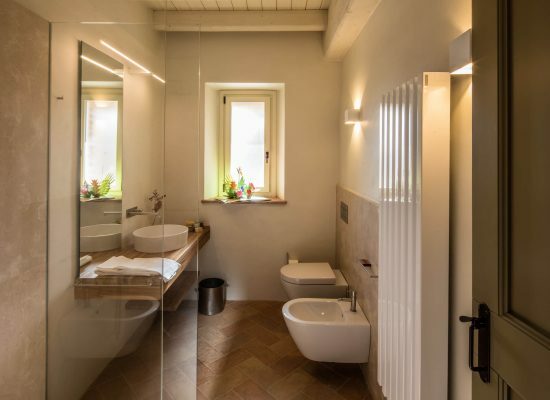 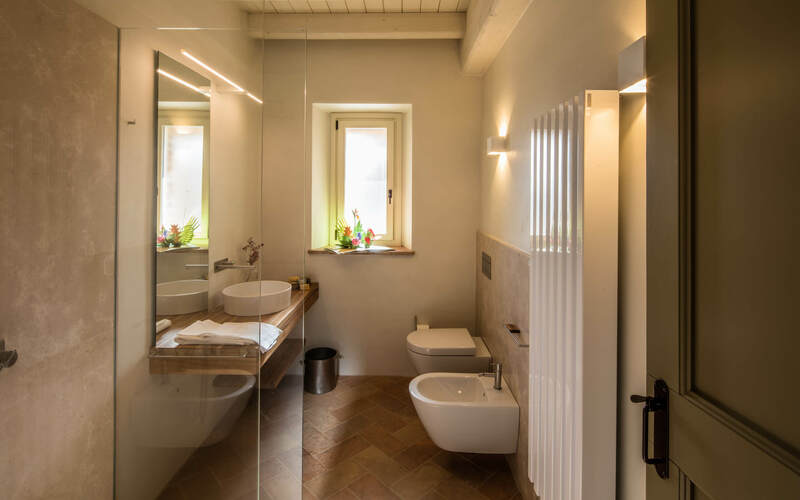 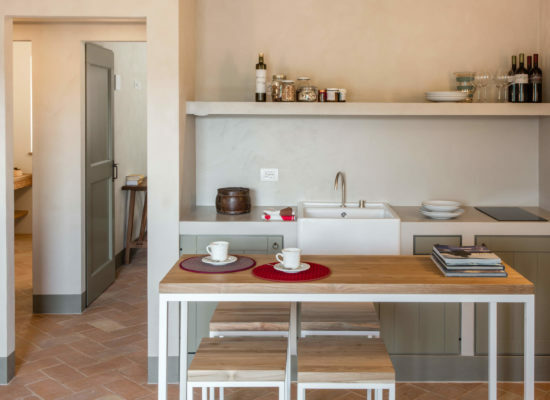 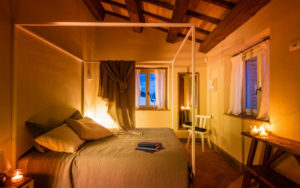 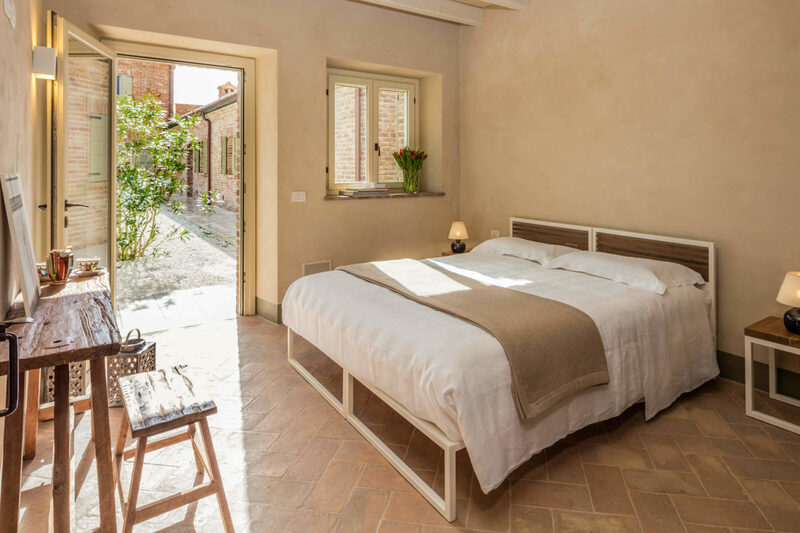 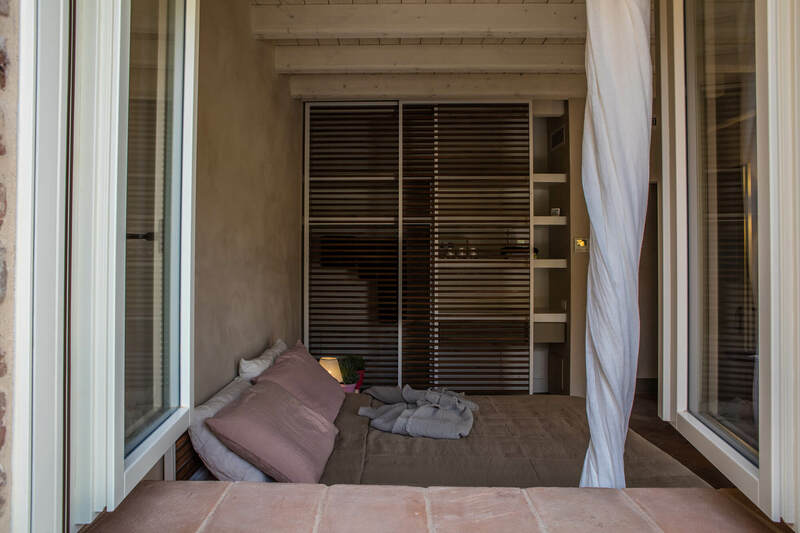 The suite consists of a bedroom and a sitting room with private terrace surrounded by plants of Pitosforo , that gives the access to the garden and the vineyards . 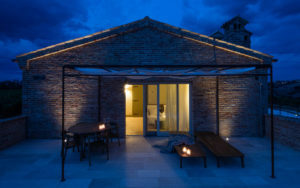 The room , with a separate entrance from the main courtyard, faces south, reason why it is always warm and bright. 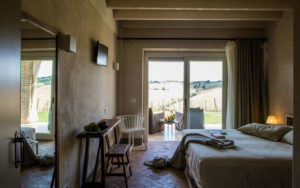 The living room, with a custom kitchen and a sofa-bed for two people, faces west and, outside, the veranda is equipped with a private shower, teak furniture and comfortable armchairs to enjoy the scents of aromatic herbs and the calm of the countryside.